I can actually take no credit for this recipe. I’ve followed Julia’s recipe down to the very last instruction. 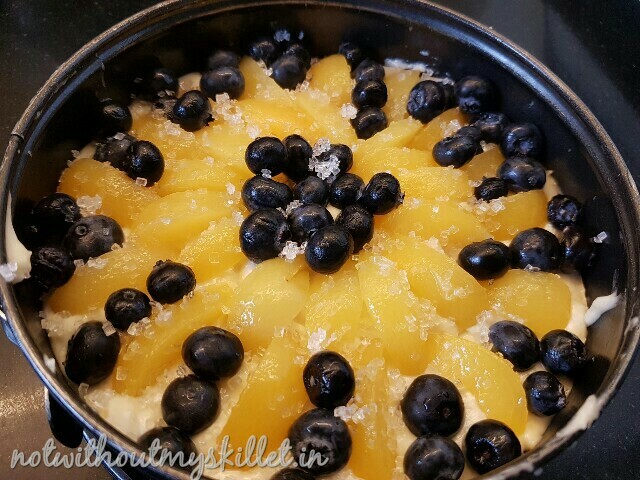 The only change i did make was to introduce a lot more blueberries and chopped apricots within the cake batter, use a sugar-free substitute and reduce the butter content. This cake does take longer to bake than normal. And needs a fair amount of resting time too. Also consume it fresh, with the reduced butter, i would think it would go dry by the second day. 1. Pre-heat the oven to 200 degree Centrigrade. Line your springform tin with butter and layer the bottom with butter paper. 2. In a pan sieve the self rising flour with the baking powder. Sieve twice and set aside. 3. 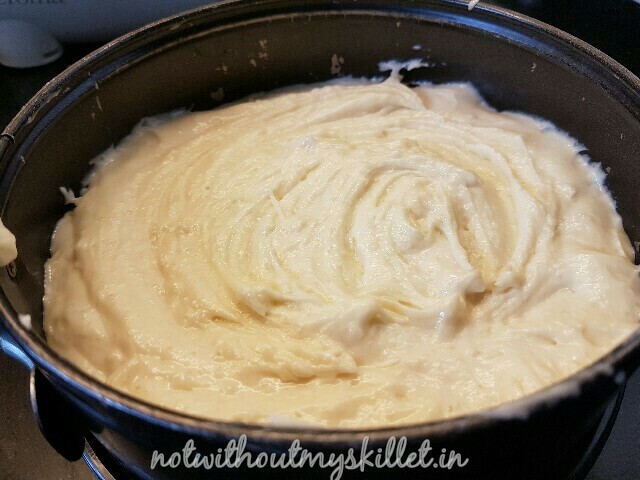 In a mixing bowl, mix together the butter, eggs and sugar till the mixture is light yellow in colour. 4. To this add vanilla essence and greek yoghurt. Do not over beat now. But ensure that it is well combined, creamy and airy. 5. Now mix in the flour, use a spoon and the ‘4’ motion to mix the flour in. This will ensure you do not lose any air. 6. 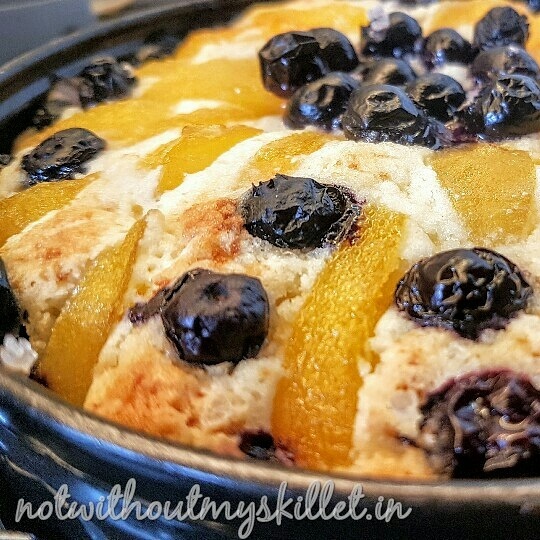 If you wish to you could add blueberries and chopped apricots to the batter. This is optional. 7. 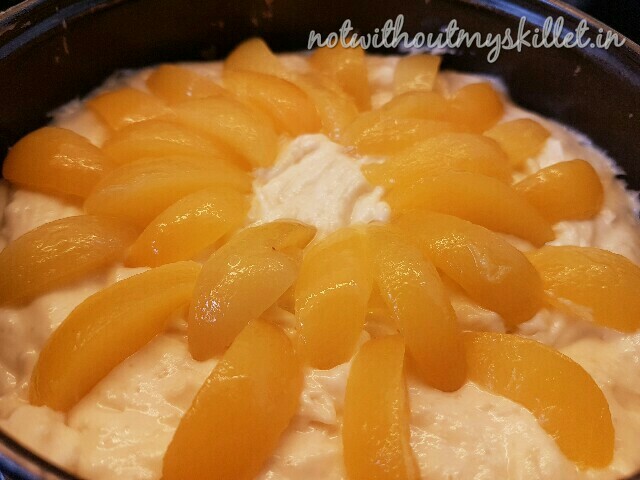 Pour the batter into the well-greased baking tin. 8. 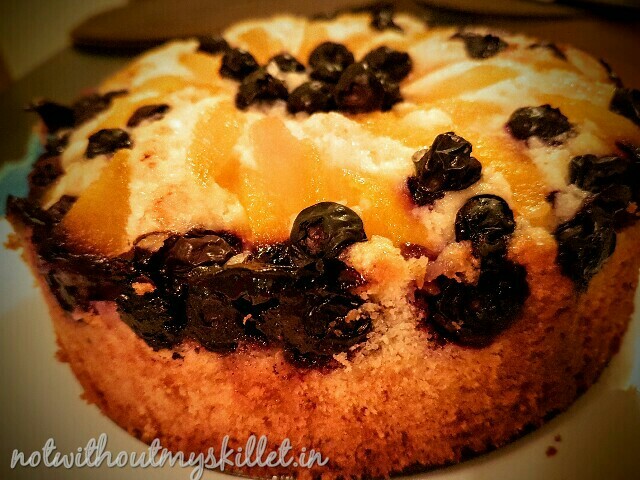 Garnish the top with the sliced apricots and blueberries. Spread the teaspoon of sugar over the fruits. 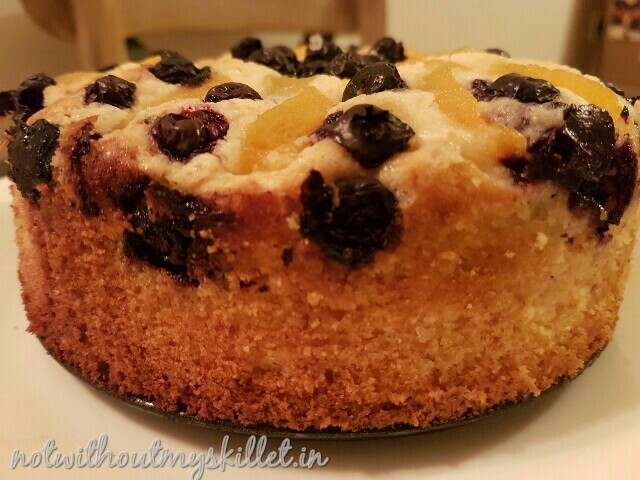 I loved blueberries and have used more than needed on this cake! 9. Bake for 1 hour at 180 degree centrigrade. Check with a tester at 40 minutes, to know how much longer your cake will need to bake. It generally takes an hour. But then that could change from oven to oven. 10. When the cake is done, let it cool on the pan on a wire rack. I was surprised by how much this cake rose while baking. So make sure you don’t fill the springform tin by more than half. 11. You can release the springform pan in 40 minutes of its having cooled down. 12. Serve sliced with a dollop of cream if you wish. But it really doesn’t need it! Sadly, the cake got cut and gobbled off before i could take a picture of a slice…I do hope that happens to your cake too…feeding people you love is one of the best pleasures of life!